Ordering: Our French Club Chairs may be ordered by email or telephone. We prefer to talk with our customers on a one to one basis to get a real feel for what you are looking for in a Club Chair. We attempt to respond to all messages within 48 hours, but please keep in mind that our show schedule may cause occasional short delays. We sell in several different venues - all items listed are subject to prior sale. We are happy to put a 24-hour hold on a pair, while you take a moment to consider them. Payment: We accept Visa, Mastercard, American Express, Discover Card, certified checks, money orders and personal checks. For all orders shipped within California 8.375% sales tax will be added to your total, unless you have a valid resale number. If paying by personal check, merchandise will be held until the check clears the bank. Wire Transfers: We accept wire transfers. Ask William for bank details and he will provide them. Shipping: Shipping and insurance costs are the responsibility of the buyer. We will ship with one of several blanket wrapped services that specialize in Antiques. 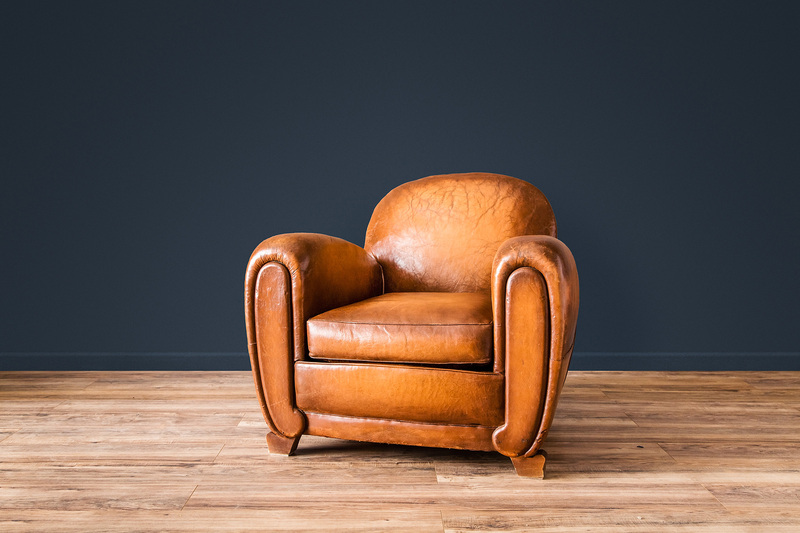 We only use services that maintain custody of your chairs from our warehouse to your home. Generally a pair of chairs costs around $750 to ship across the country, fully insured with no deductible. Guarantee and Return Policy: Each item listed is photographed and described to the best of our ability. We endeavor to describe any flaws or defects. Additional photographs are available by request & we are available for any questions or further descriptions. If upon receipt of your purchase you are not satisfied with the item, contact us within 3 days for return authorization. The buyer is responsible for ALL return shipping and insurance costs. A refund will be issued after we receive the merchandise in the same condition as originally shipped.